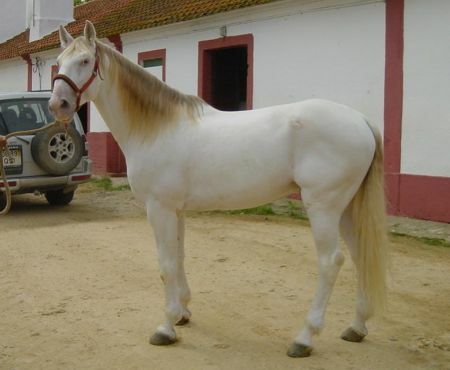 Tirol, a Lusitano stallion from Noqui out of Olga, is homozygous for both grey and pearl. His coat is black based. 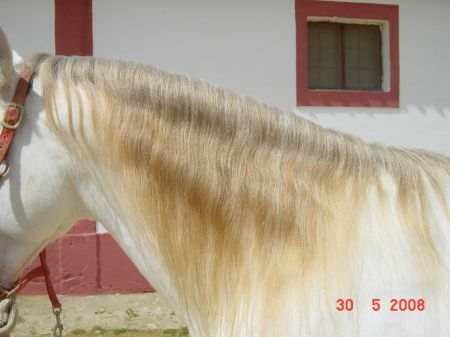 (Genotyped as aa Ee GG PRLPRL). 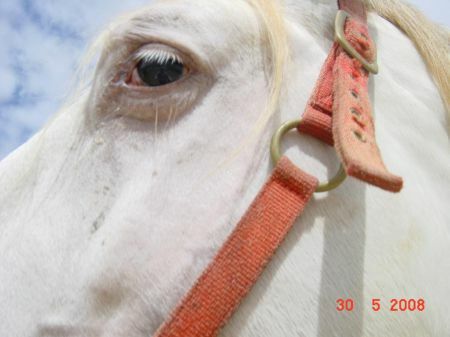 Described as a "shiny white horse with dark eyes and pink skin."